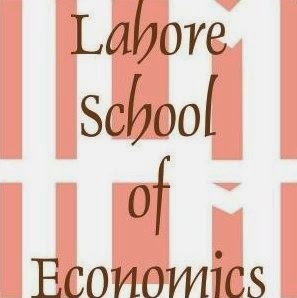 Mr. Sirajuddin Aziz, the President Bank Alfalah visited Lahore School of Economics on March 30,2009 and gave a lecture to MBA / MSc (Economics) students. The experienced guest speaker gave an overview of the banking industry covering history, chain of commands, qualities of a leader, potential, career path, opportunities, planning, challenges in life, and more. The lecture was followed by questions and answers session. 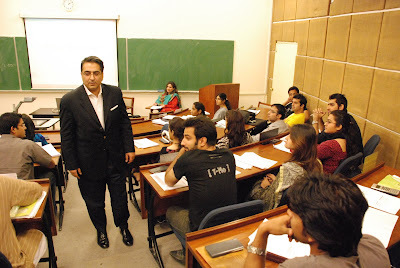 Mr. Adnan Haider, SVP and Regional Head KASB Bank visited the Lahore School on March 28, 2009 and gave a talk to MBA / MSc (Economics) students who are enrolled in the Corporate Finance course. The talk was focussed on various areas of banking including consumer banking, corporate banking, phone banking, operations, service quality, priority banking and more.